The Zoning and Code Enforcement Department is responsible for a variety of duties throughout the city. Zoning ensures all new construction, land subdivisions, building placement and land uses adhere to our zoning, development and Downtown Design guidelines. Codes Enforcement ensures all commercial and residential properties within our city limits comply with required property maintenance codes, city ordinances, licensing and permitting. The Zoning Administrator is responsible for coordinating with residents, new businesses, developers and contractors regarding zoning issues and adherence to the zoning guidelines. The Zoning Administration also works with the Planning Commission and Board of Zoning Appeals to setup and coordinate the meetings, notifications and record keeping. 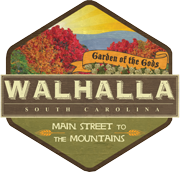 Below are the zoning ordinances for the City of Walhalla as well as our forms and applications for zoning, building and business related areas. You may download and fill these out prior to your visit to city hall. All payments or fees must be made at our office as we do not support any payments online or over the phone. If you have any questions please call our office at (864) 638-4343.